A pro-life filmmaker delivered an impassioned speech at a New York State town hall meeting, urging his local council to set up a “sanctuary” for the unborn. Marcus Pittman went before the Batavia City Council to plead for the lives of unborn babies in light of Governor Andrew Cuomo’s radical new abortion agenda which allows for termination up to birth. “They were discussing the prospect of declaring Batavia a sanctuary city and defying Andrew Cuomo,” Pittman told Faithwire of the meeting in question. However, after much deliberation, the council members eventually decided that they would send Cuomo a “letter” asking him to consider the town’s request for sanctuary. Not long after that, the council backtracked even further and ruled that not even a letter would be sent to the pro-abortion governor. Are you ready for your daily dose of FIRE? This needs to be seen by the whole world. Marcus Pittman handed the TRUTH to this government council. Join with us. Tell someone and then go to the website. “Why are we discussing this? It’s so silly. Years from now, Jesus Christ, the King of the Universe — he’s going to end abortion. History is going to show that we were sitting here, pretending to be rational, when the truth is it is ridiculous to even be discussing it,” he said. In a recently issued decree, Governor Andrew Cuomo ruled that certain New York counties should become sanctuary cities for illegal immigrants, sending a scathing letter to U.S. Immigration and Customs Enforcement (ICE) in which he harshly criticized the actions of ICE agents. In his long and dramatic letter, Cuomo effectively argued that New Yorkers should stand up to the federal government when it acts in a way that is, according to him, unequivocally immoral. Following this action, a councilwoman named Rosemary Christian suggested that Batavia, New York, become a sanctuary city for the unborn. Unfortunately, despite Pittman’s best efforts to bolster this as a brilliant idea, the cowardly city council refused to take the matter any further. Pittman wasn’t the only Batavia resident to boldly defend the unborn before city councilmembers. Earlier this month, local bookstore owner Jon Speed delivered a rousing address before the local council, making his case for why Batavia should become a sanctuary city for vulnerable children. Pittman and Speed are good friends, having worked on multiple pro-life documentaries together. 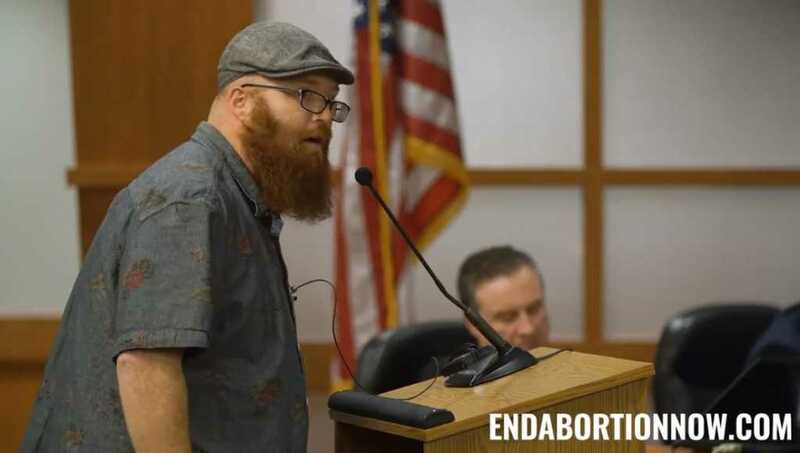 Speed’s speech, which was filled with many of the devastating truths that surround the sordid business of abortion, drew silence from the Batavia council chamber. Despite the disappointing actions of the city council, it’s encouraging to see that the pro-life cause is alive and well in Batavia. God bless these brave and courageous men and women standing up for the rights of the unborn.